I Thought I would post the Children's Church study. I apologize in advance if it doesn't translate well. We have begun a new study in the Fruits of the Spirit. I hope to post them each week. 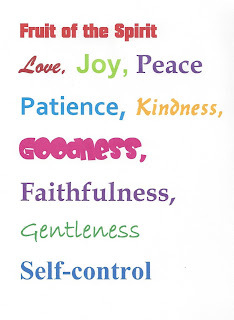 Galatians 5: 22-23But the fruit of the Spirit is love, joy, peace, patience, kindness, goodness, faithfulness, 23 gentleness, self-control; against such things there is no law. 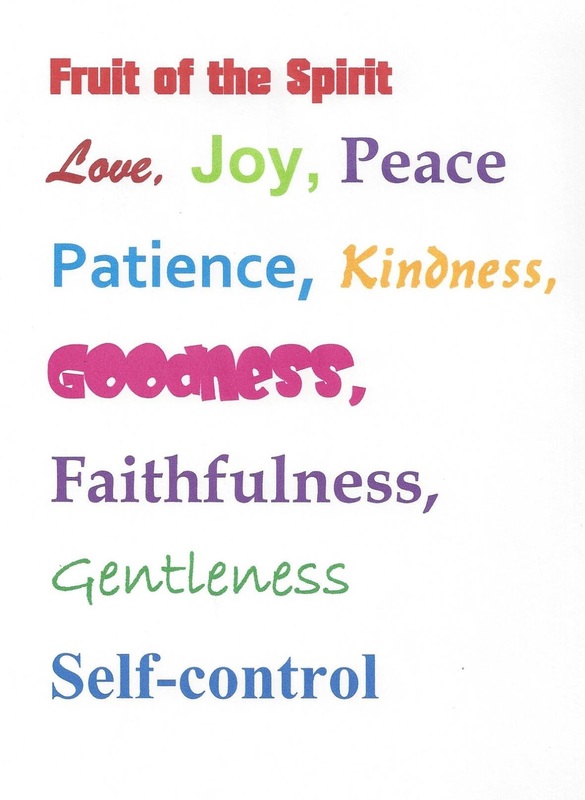 We find the fruit of the Spirit in Galatians. The Apostle Paul, writing to the church in Galatia, speaks of it in chapter 5 distinguishing between the fruit, or product of the flesh, that is to say ourselves and our own undisciplined appetites, and the product of the Holy Spirit living in us. If we consider our nation, our neighbors are Mexico and Canada. What about our state? Texas, Colorado, and Arizona are our neighbors. Who are your neighbors near your house? What about when you play baseball or football? Who are your neighbors on the field? Now let’s consider a sticky problem. What about someone you consider an enemy? Could they be your neighbors? Should we pray for them? Lord may we be Your children. May we love our neighbors. Thank you for our parents, teachers and care givers. Thank you for our country. Bless this Memorial Day. Amen.